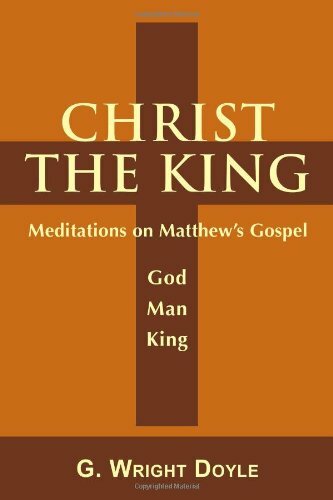 Christ the King unfolds the many ways in which the Gospel of Matthew presents Jesus as not only King of the Jews, but the one to whom “all authority in heaven and earth” has been given. Brief meditations on virtually every verse in Matthew portray Jesus as both God and man, and as teacher, healer, and liberator from demons, sin, and death. Drawing almost entirely on Matthew’s Gospel for his interpretation of each passage, the author also shows how Christ calls His people to follow Him faithfully, regardless of the cost. Christ the King is ideal for personal enrichment or group study.